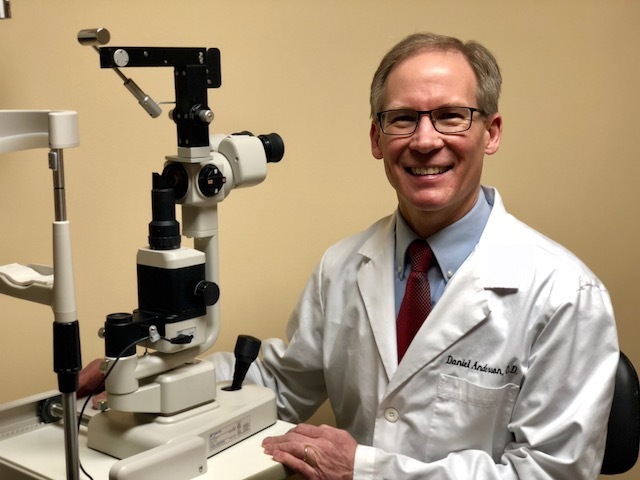 Dr. Anderson, the founder of Advanced Eye Care Services, grew up in upstate New York and began thinking about optometry during high school. In his junior year he took two career assessment tests and found that his aptitudes and interests were well-suited for optometry. He graduated from Houghton College with a Bachelor of Science degree in Biology and then went on to earn his Doctor of Optometry and Master of Vision Rehabilitation degrees from the Pennsylvania College of Optometry in 1989. Dr. Anderson enjoys playing tennis and watching all types of sports. He is active at his church and he lives in State College with his wife, Julie and their three daughters, Carrie, Laura, and Brittany.